Since 2009, we've gathered over 20,000 people in 110 countries on our mailing list, with whom we shared regular lessons and updates on alkaline diet. We've also transform their health and revitalize their body in various meaningful ways. As an exclusive alkaline diet website, we have interviewed many alkaline diet authors, nutritionists and dietitians to find out the different opinions on alkaline diet. 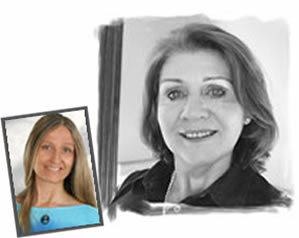 Authors like Suzanne Le Quesne, Brigitte Mars are some of the natural health therapists on our Alkaline interview show. Our Alkaline Diet Website is currently featuring Emma Deangela's products as Emma focused on using natural foods to have a healtheir body. Having more than thousands of customers on Emma's program, we have received wonderful experiences on how Emma's Alkaline Diet has transformed their lives. When you are ready to transform your health and body, sign up for our mailing list and join over thousands of alkaline diet enthusiasts who've already tried Emma's Alkaline Diet program.